With comprehensive capabilities, including interactive scorecards, strategy maps, dashboards, and pre-built reports and views, SoftExpert Performance ties performance metrics and initiatives to strategic objectives. Most importantly, the tracking of initiatives, accountabilities, communications, and workflows enables SoftExpert Performance to manage business performance, not just measure it. It is a complete performance lifecycle. SoftExpert Performance can help companies to define a strategy and measure performance against goals, monitor progress on a regular basis, and communicate the results across the entire enterprise. SoftExpert Performance tracks key performance indicators (KPIs) and manage all business metrics in one place. 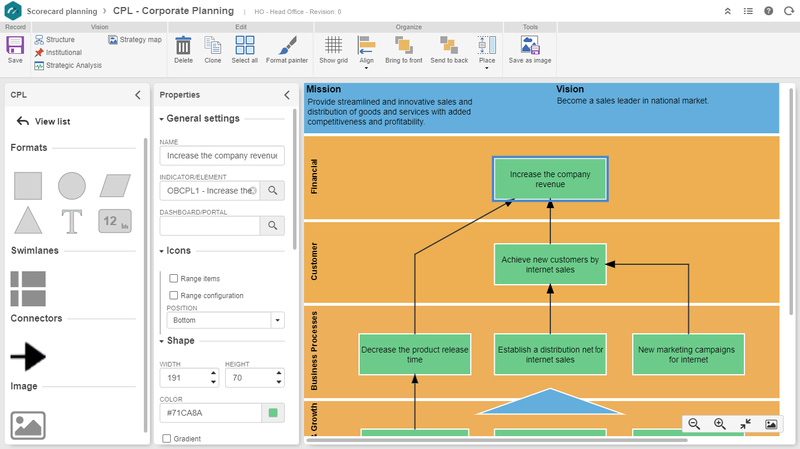 It creates visually outstanding dashboards and helps comparing the KPIs with strategic and operational objectives to ensure alignment across the organization. Whether the focus is operational, strategic, or both, the solution offers highly flexible and powerful metrics management functionality. The software enables organizations to drive strategy execution through all levels by adopting several methodologies such as Balanced Scorecard and EFQM Excellence Model. 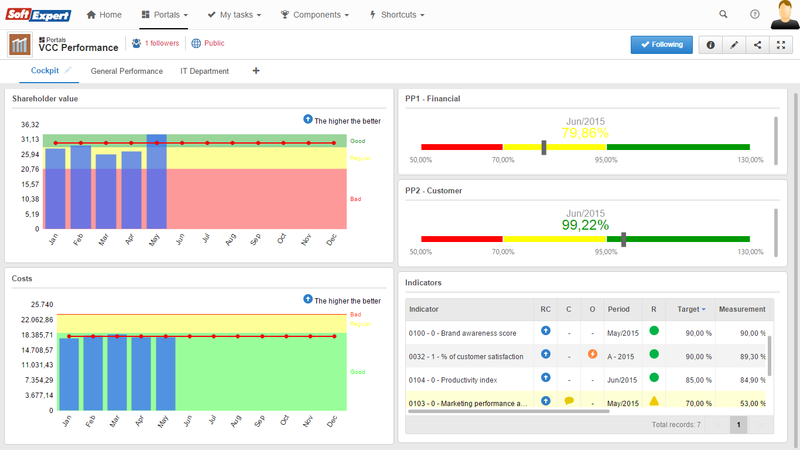 With SoftExpert Performance, companies can place strategy at the heart of corporate performance management, track and manage performance metrics across multiple perspectives and processes at organizational levels as well as at the individual and project levels, using a web-based user interface. Intuitive wizard to import indicators, elements and scorecards. Flexible framework for performance structure organizing (Balanced Scorecard, EFQM Excellence Model, and others). Cascade from enterprise to personal scorecards. Consolidation of indicators within the structure. Define formulas from a rich set of available functions. Easily upload data through Excel files. 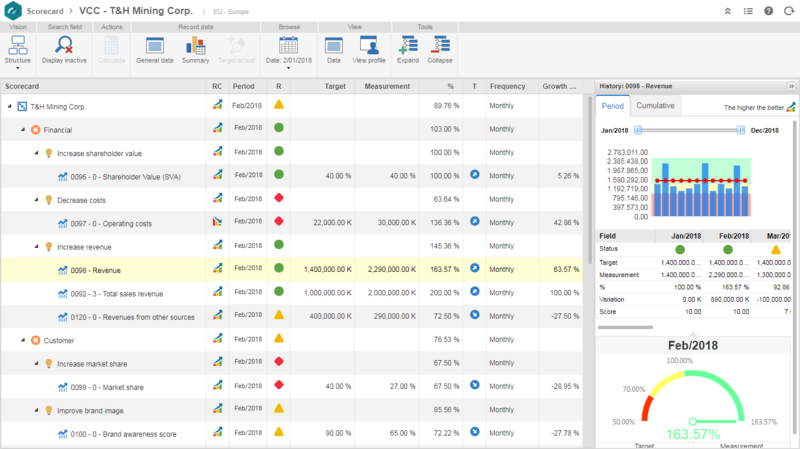 Extract data directly from core business systems to automatically populate in SoftExpert Performance. Notify staff via automated e-mails of performance status, change alerts and update reminders. 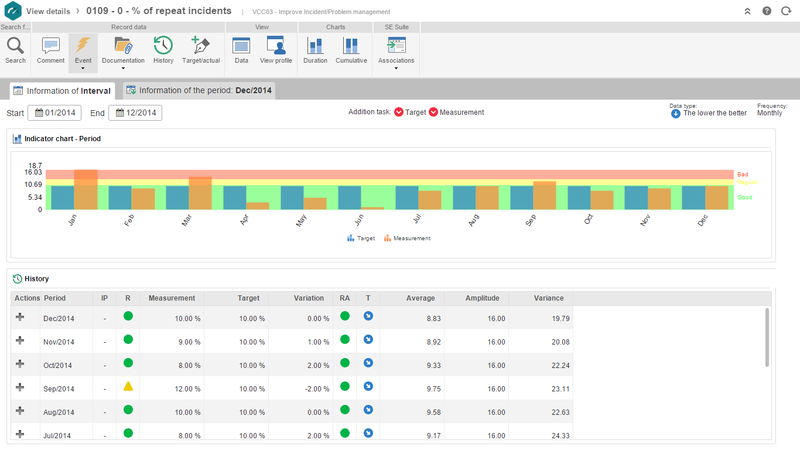 Provide early warning of performance deviations to the right person at the right time. Present users with just those KPIs they own and which are due for update. Allow attachments to any strategic item, including texts, spreadsheets, and web pages. Dynamic and interactive KPI dashboards and portals. Flexible charting engine that allows creation of almost any graph. KPI portals can be shared with individuals and departments.